Think of it like stacking towels. When I begin coaching a client, one of the very first things I teach them is to not make too many changes in their health and fitness all at once. Many folks struggle with overwhelm, especially moms. We typically have never-ending to-do lists, so the last thing we want is to add more stress to our already crowded plates. 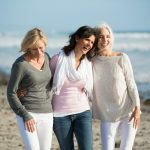 With so many responsibilities, self-care, exercise, eating well, or attempting even a short meditation practice can feel daunting. What if your wellness journey’s focus was all about layering on healthy habits over time that would eventually just be regular habits? Sounds simple enough, right? 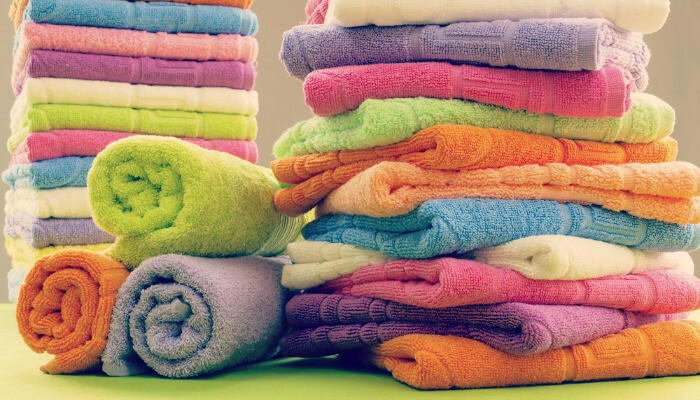 Think of what your linen closet would look like if you just tossed your towels in without folding and stacking them. It would be chaos and super annoying! This is something called habitual layering: doing something consistently for a period of time and once that habit is starting to feel solid (well stacked) it’s time to add on a new healthy habit or another layer. Start off by writing a list of the health and wellness changes you want to make. Stick to 3-4 things that you would like to work on. Next you want to map out what you will start with, then you will want to give yourself at least two weeks (for some folks it can be longer so honour your unique process) with that change before adding in anything new. This allows your brain and your body time to adjust to what you are focusing on before it has to comprehend anything new. This reduces the overwhelm. Next, pick something that you would like to start changing today. It can be something simple like carrying around a water bottle so you drink more. It can be getting up from your desk to move around a bit every hour. It can be getting out for a walk in your neighbourhood for 20 minutes each day with your kids. Once you start to notice your first goal or desire becoming easier and more habitual, you know it is time to layer on your next healthy habit. A good rule of thumb is to think about habitual layering over a 4-6 month time period (which is why I work with my clients for a minimum for 4 months). How long a habit takes to become routine depends on the habit, how important it is to you and why you are doing it in the first place. Taking things one day at a time and celebrating each and every win makes the process far less daunting, far less overwhelming and way more fun! What healthy habit are you going to implement this week? Leave a comment below!